"Leatherneck," the official magazine of the Marine Corps Association and Foundation, has recently profiled our organization. 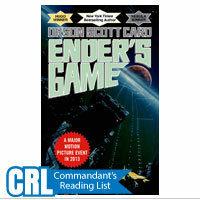 We begin this issue of our newsletter with a look at this article. 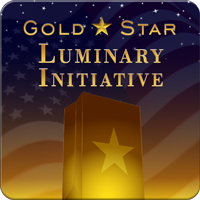 Our next two pieces are about two campaigns that time is about to run out on--The Gold Star Luminary Initiative and Save MotoMail. Learn how you can help below. Actor, musician, and military supporter Gary Sinese was recently awarded the title of "Honorary Marine." Read more about it in our fourth piece. Finally, we take a look at this issue's Team Marine Parents Featured Participant--a proud "Marine Mom" from Texas--Marilyn McHenry. 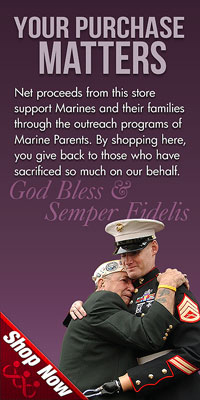 For 10 years now, MarineParents.com Inc. has made it our mission to provide reliable resources and information about the United States Marine Corps, to provide recruit and Marine family members "a place to connect and share�" in support of one another, and to provide opportunities to support the troops and their families through a multitude of outreach programs. In recognition of all of the hard work we've done over the years, "Leatherneck Magazine," the official magazine of the Marine Corps Association & Foundation, has published a piece profiling our organization. An excerpt can be read below, and a link to the rest of the story is provided for anyone who wants to read more. Enjoy! 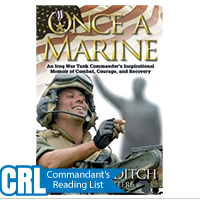 America has been at war for al�most 13 years, and, of course, Marines have been in the thick of the fight since the beginning. During those sometimes tentative years, Marines and their families have faced numerous obstacles, challenges and uncertainties. Fortunately, a very special group of selfless and de�voted volunteers who operate under the banner of MarineParents.com has been helping them understand and cope with the known and unknown. 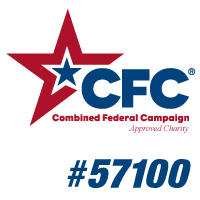 Those incredibly dedicated volunteers have provided information, com�fort, reassurance and a positive nur�turing environment to as many Marine families, friends and loved ones as possible. "Greater love has no one than this: to lay down one's life for one's friends"
It could be argued that an even greater love does exist; that of a parent for their child. Tragically, in the last decade, almost 7,000 families have been forced to deal with the utterly devastating heartbreak that sometimes accompanies that love as their children laid down their lives for their country. Gold Star Family Day* is a day to honor and remember the people around the country who have lost a family member or loved one to military service, as well as to honor and remember those brave men and women who made the ultimate sacrifice on our behalf. Please join us this year on Sunday, September 29, as we observe Gold Star Family Day* by lighting luminaries at dusk in honor of our fallen heroes. *The last Sunday in September is nationally recognized as Gold Star Mother's Day. Our organization opts to refer to the last Sunday in September as Gold Star Family Day to avoid the implied exclusion of family members other than mothers who grieve the loss of a Fallen Hero. Being deployed to a combat zone is never easy. In addition to the constant threat of attack and the minutiae of everyday life, going months without seeing family members and loved ones can be incredibly difficult. Not being able to kiss your spouse, tuck your children into bed, or hug your parents and tell them you love them would take its toll on anyone, and Marines are no exception. 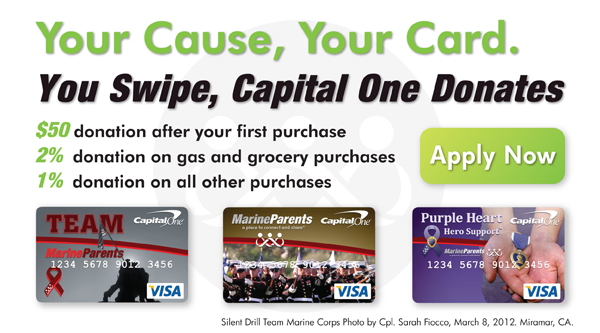 Fortunately, for a number of years now, the Marine Corps' MotoMail program has helped ease that burden by allowing Marines to communicate with their loved ones back home via electronically delivered letters and photographs in as little as 24 hours, much to the Marines' (and their families') delight. 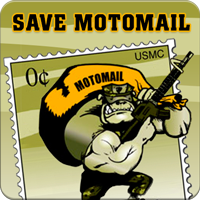 With that in mind, we are sad to announce that, unless something changes, Marine Postal will be ending MotoMail services permanently on September 30, 2013 due to forced budget cuts by the Federal Government. And that's where you come in. With your help, we can save MotoMail! 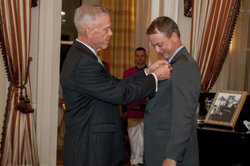 Marine Corps Commandant General James Amos pins an eagle, globe, and anchor lapel pin on actor Gary Sinese after awarding him the title of "Honorary Marine" at a ceremony at Marine Barracks Washington, D.C.
of award in acknowledgement of his tireless dedication to military members and veterans--the tile of "Honorary Marine." In a ceremony at Marine Barracks Washington, D.C., Marine Commandant General Amos presented Sinese with an eagle, globe, and anchor lapel pin and said he felt "privileged and proud to...recognize this humble patriot's selfless service by making him an Honorary Marine." For Sinese, whose Lt. Dan band regularly performs for the troops, this was the second such honor in as many years, as he was made an honorary Chief Petty Officer by the U.S. Navy in August of 2012. In addition to providing entertainment for service members with his band, Sinese also heads the "Gary Sinese Foundation" which seeks to "...serve our Nation by honoring our defenders, veterans, first responders, their families, and those in need...by creating and supporting unique programs designed to entertain, educate, inspire, strengthen, and build communities." In becoming an "Honorary Marine," Sinese joined a small and select group of those who have been awarded the title for making "...extraordinary contributions to the Marine Corps," according to the program's website. Since the program began in 1992, less than 80 people have been awarded the title. 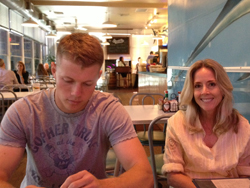 The MCM will be Marilyn's first marathon and her son, who became a Marine in 2012, is the motivating force behind her desire to run for TMP. "We used to run half marathons together when he was 15-18 years old," Marilyn said, "this will hopefully be my first marathon and I'd like to make him as proud of me as much as I am proud of him, if that's possible!" Marilyn has already exceeded her fundraising goal of $300, having raised $535 so far, but she'll gladly accept more of your generous donations for this great cause. 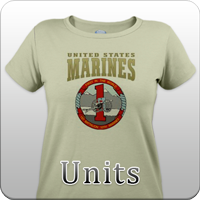 We would like to thank Marilyn (and all of our other TMP members) for her hard work and dedication to supporting our Marines. Best of luck in October!